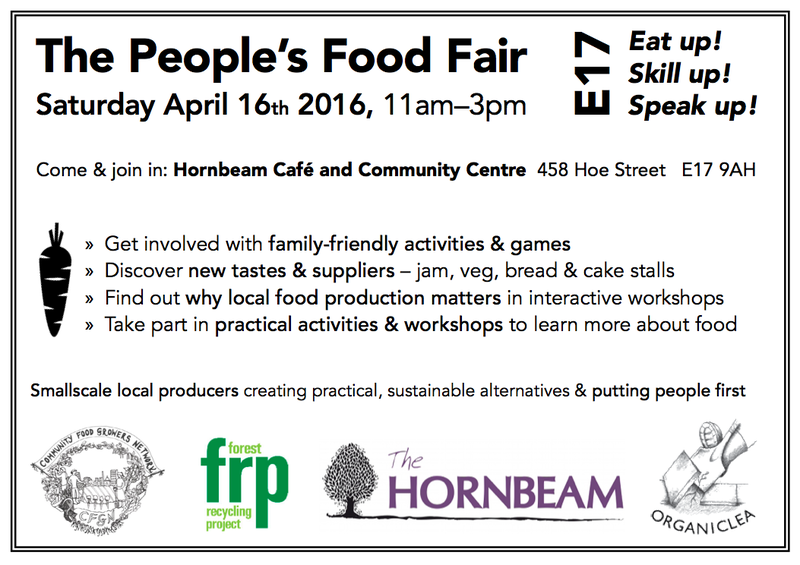 On Saturday 16 April join us at the Hornbeam Cafe and Community Centre in Walthamstow to sample great produce and find out more about why local food systems matter. From 11am til 3pm there’ll be food stalls, family-friendly activities and games, practical activities and workshops. Who makes the food that we eat? How is it grown and where is it sold? What difference does that make? Get involved with fun activities and discover more about some of the Waltham Forest producers who are creating sustainable alternatives to large-scale production and putting local people first. OrganicLea will be there along with the Forest Recycling Project, Landworkers Alliance, Norman Loves, and This is Rubbish. Come and join in!